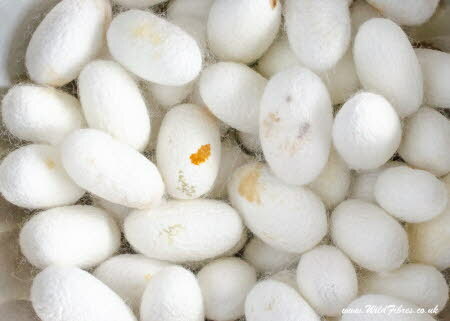 Buy medium quality mulberry silk cocoons from France. They are larger than our Paraguayan cocoons but have some staining (see photo). They are useful as an educational resource for biology and textile lessons and you can also use them for crafts. Approximately 55 cocoons.